The brand chosen is Mango. Mango is a Spanish company and deals in textile business. Mango is second to Zara in the Spanish market. The company is owned by Isaac Andic who started working in the fashion world in year 1972 and decided to work on his own later and opened his first store in year 1984 under the name of mango. He named the company Mango after the fruit’s name as he saw the fruit for the first time in Philippines. It was his company’s success that motivated him to create new work and open new stores on those lines. He later opened his first international store in 1992 in Portugal. Presently, the brand is present in almost 90 countries. Mango captures the woman market not only in clothing but also in accessories. The mission of the company is to be available and present in all the cities of the world and the objective of the company is to dress woman in latest styles that can suit the daily activities and also the special occasions. The company is responsible from the design to reaching to its consumer in a form of end product. The company is responsible for designing, subcontracting, commercializing and distribution of the products. Mango makes the samples of their products and later the product is sub contracted. The products are mainly produced in China and Morocco. Since the company is woman centric therefore they have used celebrities like Penelope Cruz, Monica Cruz and Scarlet Johanson for their campaigns. Mango is dependent on approximately 140 suppliers around the world who supplies clothing and accessories to the company. Therefore one can say that the company has very good supply chain management and also the information system. In order to increase the brand positioning around the world, Mango also gives its franchise to the other companies. Also, the company has become strong financial with growing rates increasing every year. It is very important for any store to have visual communication with the customer in order to increase the sale of the stores. This visual communication is possible through the visual merchandising or window display (Berger, J. 1972). Therefore, window display is the major method to attract consumer attention of the customers. The right visual display at the window will make the customers educated and increases the feeling to buy the product and then the selling process starts. 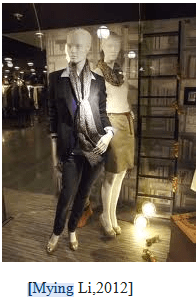 It is important to have attractive visual merchandising as the first thing that customers notice in any major fashion showroom is their display window. The fashion brands play their marketing strategy by putting the most attractive fashion products in the fashion window (Morgan, T. 2011). There are times when the products displayed are more expensive as people tend to buy what is displayed as they are attracted by the site. There are two advantages of the window display that is with the help of window display the image of the brand is established and also maintained. Therefore, the display window builds the brand image of the fashion houses. Brands are recognized by the quality stuff they keep in their display windows. It is important for the brand to display the window in such a manner that every passerby is attracted and enters the store. Second advantage is that it built the curiosity among the consumers which helps them enter the store and most of the time people buy the products. This is the latest marketing strategy to organize the best fashion apparels, accessories, shoes etc. so that maximum foot fall happens in the store (Morgan, T. 2011). The foot fall augment the sales in the store. Therefore, directly or indirectly it is the stuff displayed on the window attracts the customers to the store. Display window is used to keep the most attractive products of the fashion houses. Customers will get attracted with the help of colorful, bright and most fashionable products at the display window. Therefore it is important that more creativity is been used to display the window. There is no specific method for the same however what is important is how the window is displayed and how creative it is to look at. One important point that must be kept in mind is what to be displayed and if the stores have stock of the same product (Rose, G. 2012). The product needs to be eye catching and appealing to the passersby. If required the window display can be elevated as well. For example, window display of Zara is generally scattered and usually they have large window display spaces. This helps in attracting the customers as they can specifically see the display of clothing as well as the accessories. Retail business is growing large and therefore there is tough competition in the market. Here, Visual Merchandising plays an integral role for bringing the customers to the store and converting the potential buyers into the actual buyers. The brands image, integrity and profits depends on the visual merchandising. 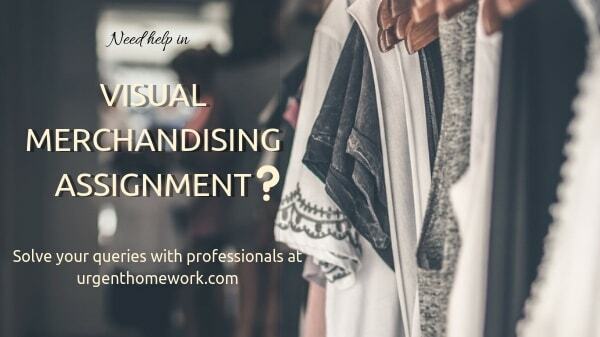 Therefore it is important to address the issues related to the visual merchandising in order to have effective business of retail. Graphics: Importance of using good graphics is important. It is important that the graphics and the signage are clearly mentioned so that they are understood by the customers. The right graphics helps in attracting the customers as they stand tall in the window. ( Diamond, J. & Diamond, E 2010). Merchandise Planning: Show rooms need to plan what merchandise is to be put on the window display and what is to be kept inside the store. The merchandising planning is a well organized approach and helps in gaining the sales and maintaining the inventory to maximize the sales. Out of the box thinking: In the race of who is performing better and who has maximum foot fall it is important to have creative and innovative ideas of displaying the windows. (Rose, G. 2012). It is not the job of one person however it requires the team effort to think out of the box and display the window. Display Settings: Display settings are to be decided by the fashion houses. As said earlier, the staff members play an important role in deciding the display setting as the creativity is best explored in the team work. ( Pegler, M. 2012). The display setting can be of different types like realistic settings where the real mood is created at the window by depicting the room or the area. (Pegler, M. 2012). Fantasy setting requires lot of planning and creativity and can be very rewarding as it is totally out of the box. The abstract display uses minimum display however they depicts big statements like Zara. The Communication through the window display is a must for any retailer in order to maximize the revenues and profits of the store. People prefer to see and feel before they buy the product and visual merchandising is the correct tool to track the customers. The visual merchandising helps in communicating what the store has to offer to the customer including clothing and accessories and also displays attractive offers to gain the customers. The latest trend in the window display is displaying through the themes that could be a story telling, colors, seasons or latest in the stores. The communication through the display window is very effective as they pass the message to the customers like what the brand has to offer and also the latest products of the store. I have been a part of this program from couple of months and I have learned a lot during this term both personally and professionally. The term spent has helped me in gaining the knowledge about the subject as also about the people. The projects that I have done were the eye opener as I have always been on the other side of the ground and was not able to see from the retailer‘s point of view. This project especially has helped me in gaining the insight of how important it is to entice the customers in order to earn the revenue and the profit. Though there were times when I was not able to cope up with the studies yet my interest helped me in gaining the strength to cope up with the studies. I have learned a lot in this term in respect to fashion management, retail management and also about the consumers. I have learned the importance of maintaining the stores at all times. The visit to the stores helped me personally and professionally as well. Personally because, I was always an introvert person and the opportunity to explore the retail stores and meeting the consumers and the retailers helped me overcome this weakness of mine. I am more confident person and can communicate with people without feeling shy. I have been given the opportunity to meet different people. Professionally exploring the different retail stores have given me a chance to learn a lot about different brands, their history and their images as well and about their work process. Professionally also, I have grown more confident and have substantially increased the knowledge about the various products. Apart from this, I have also learned how to perform in the team and have learned about the team synergy. The strengths that I have built during the term include my confidence in dealing with people that could be my peer or a retailer with whom I spend time in order to gain knowledge on the product. It also includes my dedication this has grown in me due to the time I spent on doing the projects which have increased my curiosity to learn and perform. Though I have developed little strength over the months yet I feel there are few weaknesses in me that need my attention like my time management, I need to work on the time management so that I am able to perform better in the projects as well as in the sessions. I need to learn how to bifurcate my time in the most productive manner. I am looking forward for the next term as I am sure I learning will definitely elevates from this present level. I also promise to myself that I will try my best to overcome my weaknesses. 2. Diamond, J. & Diamond, E (2010) Contemporary Visual Merchandising. Prentice Hall: USA. 3. 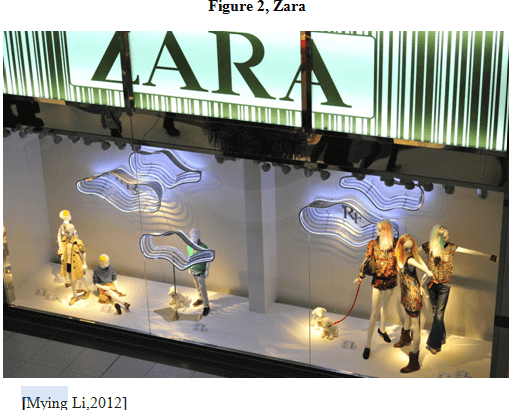 Morgan, T. (2011) Visual Merchandising: Window and In Store Displays for Retail, 2nd ed. London: Laurence King. 4. Pegler, M. (2012) Visual Merchandising and Display, 6th ed. New York: Fairchild. 5. Rose, G. (2012) Visual Methodologies: an Introduction to Researching with Visual Materials. 3rd ed. London: Sage Publications.